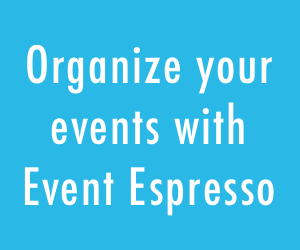 As many of our customers know, Event Espresso is a plugin for WordPress which means we are very dependent on what happens in the WordPress ecosystem. For the last two years, WordPress has been developing a new page/post editor code-named “Gutenberg” and it’s slated to be released December 6, 2018, with the release of WordPress 5.0. Here at Event Espresso, we’re really excited for the new page/post editor coming to WordPress and we’ve been investing time over the last year in preparing our plugin for the changes. In this article, I want to share with you what you can expect with Event Espresso when you upgrade your site to WordPress 5.0, and also give you a little bit of a preview into what we’re working on for the coming months. Created a framework (in PHP) for integrating with the new WordPress page/post editor which will allow us to iterate more rapidly. Created the first (of many) Event Espresso blocks for use with the new page/post editor (more below). What will happen with Event Espresso (and add-ons) with WP 5.0? The short answer is Event Espresso will continue to work as it does now! The interfaces you are used to in the Event Espresso admin are going to continue to work as they always have. The Gutenberg page/post editor does not affect our existing event editor and you will not need to install the WordPress classic editor plugin to continue to use Event Espresso (but you still can if you want). All the existing shortcodes for Event Espresso core and the add-ons will still work the same as they always have in both the classic editor and in the new WordPress page/post editor. The new WordPress page/post editor has a shortcode block that our shortcodes work just fine with, so have no plans to deprecate any of our existing shortcodes and they will continue to work for as long as WordPress still supports shortcodes. However, going forward, we will not be doing any new feature development (we’ll still fix any bugs that surface) on shortcodes and will be focusing our efforts on using the Gutenberg blocks system for inserting Event Espresso related content into pages and posts, etc. 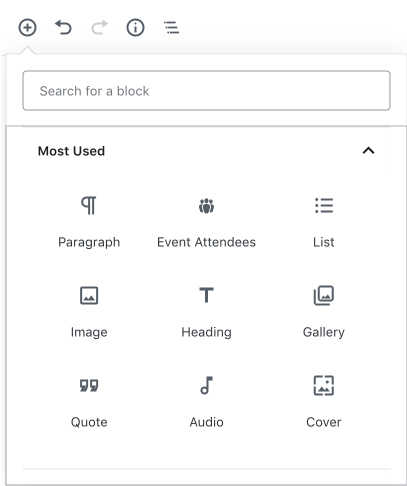 One of the exciting things about the new WordPress page/post editor is the introduction of the concept of “blocks.” In the new page/post editor, you can insert and manipulate various types of contents via these blocks. The utility of this is fascinating because it allows you not only more precisely to position the content where you want it, but you can also see more accurate previews of what the content looks like in its final form. For things that were traditionally added via WordPress shortcodes, this makes for a more useful interface for inserting and updating content. In future releases of Event Espresso, we will be continuing to add to the library of Event Espresso blocks for the new page/post editor. 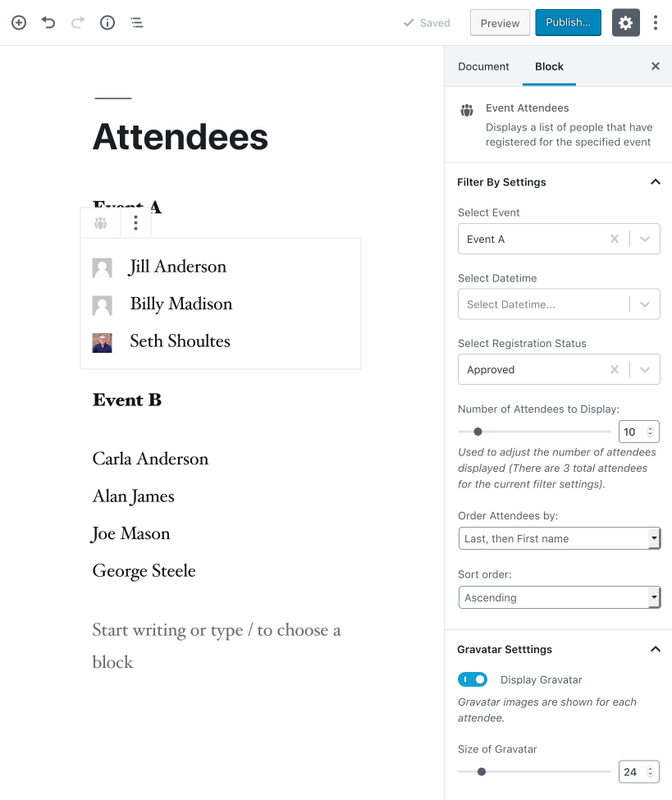 The new page/post editor in WordPress is very much in line with some of the ideas we’ve been thinking through regarding future iterations of the critical event editors in our events plugin. While in the short term you will not see any immediate changes in the current Event Espresso editors, we are working on some UI/UX features to take advantage of the improvements that Gutenberg offers for editing and managing your events. Currently, the Recurring Events Add-on is the first feature in development, and once that’s launched we plan on starting to iterate on redesigning and implementing some fairly dramatic changes to the current event creation/management process using many of the same principles introduced by the new WordPress editor. There are a number of changes under the hood and you will want to read an overview of some of those changes over on our Event Espresso Developer’s blog. We hope that you are as excited about Gutenberg as we are. We are especially interested in hearing from our customers about the Gutenberg features we have planned. Please let us know your thoughts in the comments below. Does Event Espresso 3.1 work with WordPress 5?